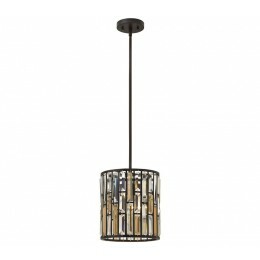 Gemma is a contemporary chandelier collection with stunning rectangular prisms of amber pearl and clear crystal set within a frame of Vintage Bronze to create a seamless sparkling, jewelry-like effect. 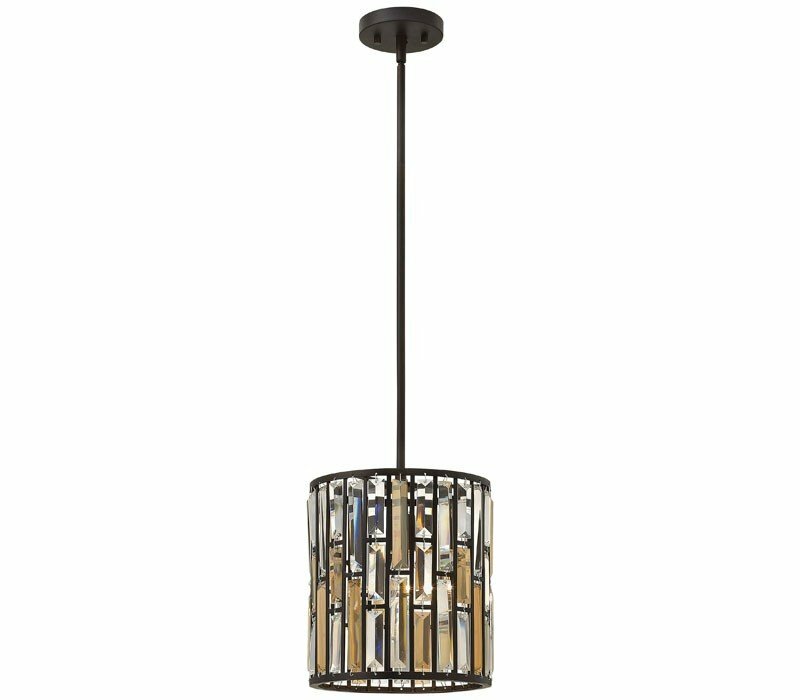 The Fredrick Ramond FR33737VBZ Gemma collection Pendant Lighting in Vintage Bronze uses Incandescent light output and brings Decorative style. 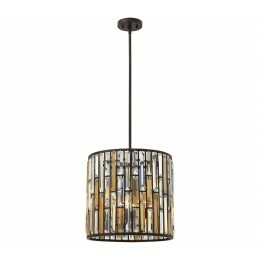 This item is 11.75"H x 10.25"W. The total wattage is 100 and the voltage is 120 volts. The Fredrick Ramond FR33737VBZ requires 1 bulb (not included). Additional Information: Shade-Clear Gems.